In 4 Elements 2 you become the hero the kingdom seeks: set the fairies of earth, air, fire and water free, and restore the book of magic! 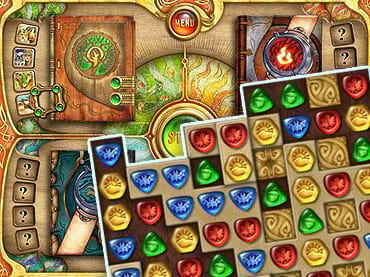 If you like this free game, try 4 Elements. Misfortune has befallen the magic kingdom again! A careless charm made the formerly wondrous ancient world overcast, beset with darkness and despair. Four fairies of the elements were deprived of their magic power. Be the hero the kingdom seeks: set the fairies of earth, air, fire and water free, and restore the book of magic! - Various achievements to get. If you have questions about 4 Elements 2 game, please contact us using this form.